This was once one of (if not the) fastest bikes in the world. Editor’s Note: Thanks to Matt Barkley of Red Lantern Cycles for allowing RoadBikeReview to test ride this 1996 Lotus 110 time trial bike. The Lotus 110 (and its predecessor, the Lotus 108) is one of the most iconic bikes in two-wheeled history. 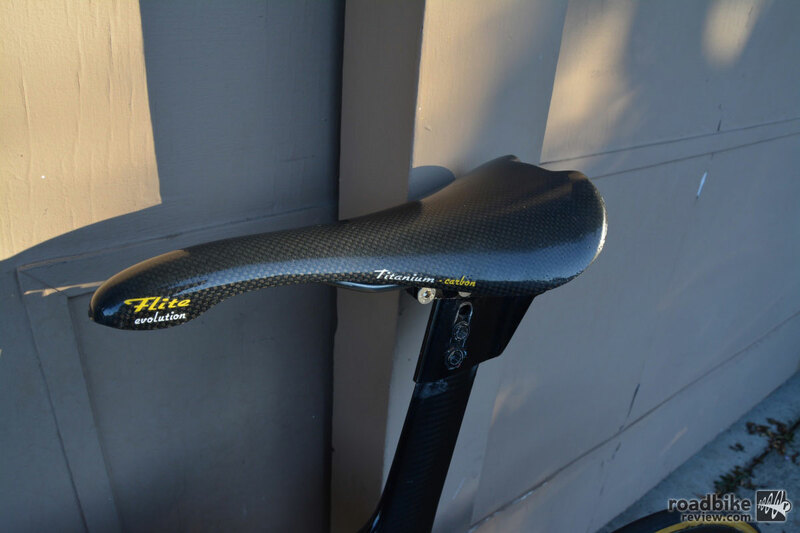 Designed by Mike Burrows and engineered by Lotus in 1992, it features a carbon fiber frame with the noticeable absence of a down tube. Radical frame design is an understatement. The Lotus 108 was originally constructed for racing Olympic pursuit and features a single-leg fork and single chainstay/seatstay on the drive side. On this bike, Chris Boardman set a world record at the 1992 Barcelona Olympics in the 4000-meter pursuit. The Lotus 108 evolved into the 110, which featured a traditional fork and chainstays/seatstays. 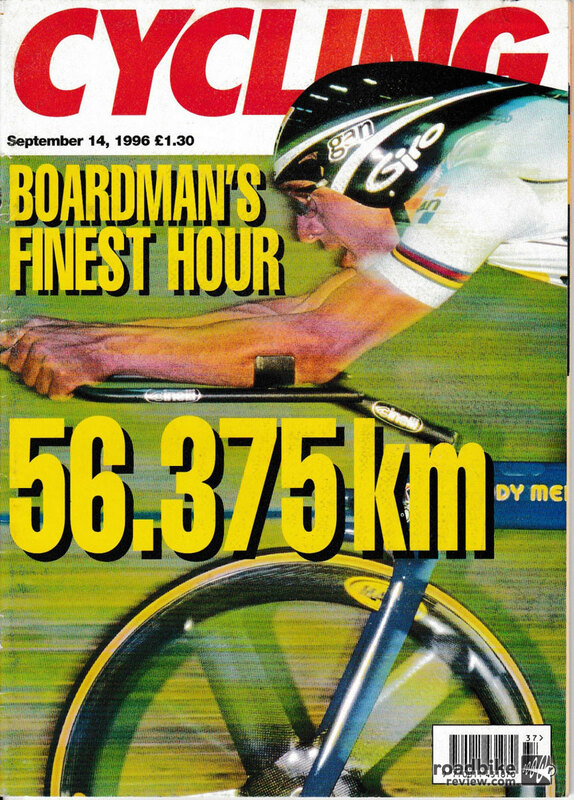 In 1996, Boardman set the world hour record on the 110, covering 56.375 kilometers (or just over 35 miles) in one hour. 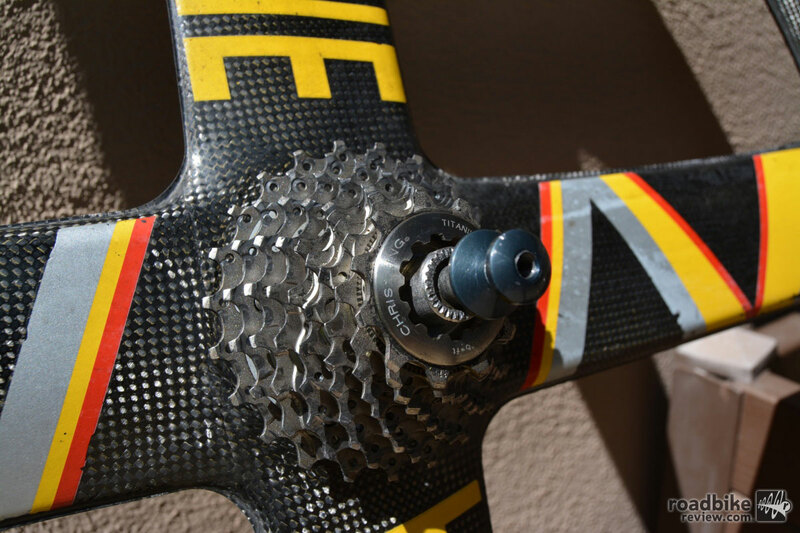 Though this mark is labeled “best human effort” because Boardman used a disc wheel, aerobars, and the superman position, the bike remains a tribute to what’s possible on two wheels. Think about how hard it is just to go 30mph in a sprint, let alone 35mph. Then imagine holding that speed for an hour. Incredible. Truly incredible. No room for a 23mm tire here. 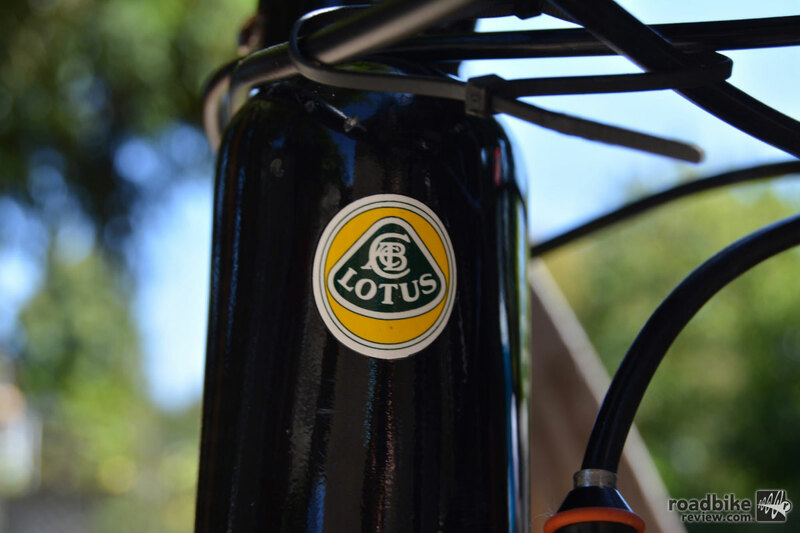 Well, turns out there’s a 1996 Lotus 110 on sale at Red Lantern Cycles in Menlo Park, California. And when I spotted it, I suggested to the shop’s owner that it would be cool to see how this legendary time trial bike measures up 21 years later. He agreed. Putting the famed Lotus 110 to the test. 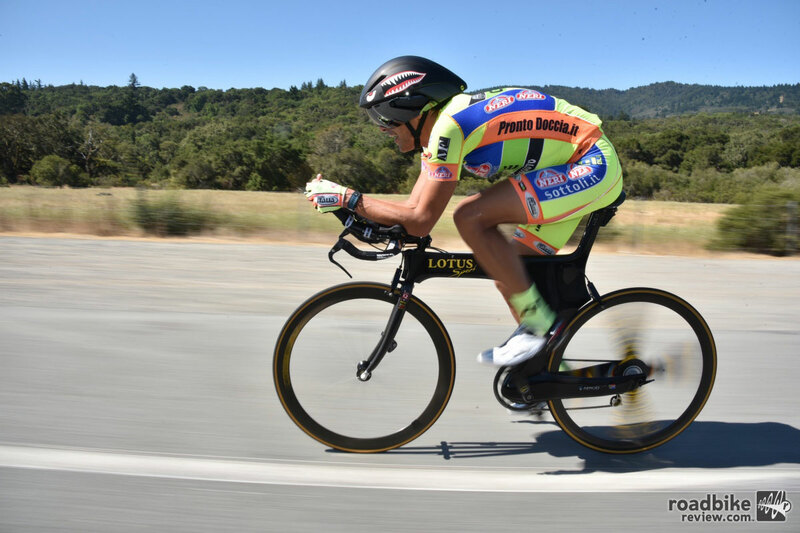 Canada Road in Woodside, California, has a wide shoulder and isn’t too crowded with cars, making it a great TT bike testing ground. There are a few out-and-back segments around 10 miles in length. To make the course long enough for a one-hour effort, I typically do these courses approximately 2.5 times. My personal record of 24.18 miles for the course in question was set in November 2014. 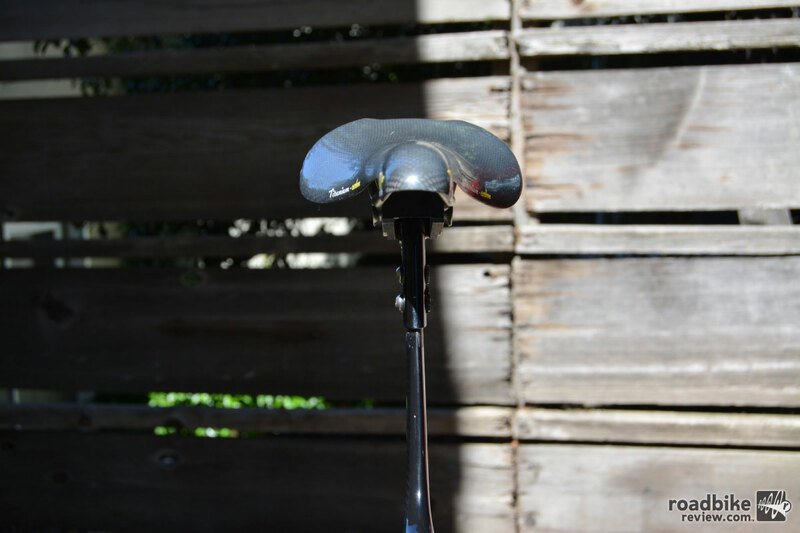 I was riding a BMC TM01 with Hed Jet 60 front wheel and Hed Jet Disc rear wheel, and I was wearing an aero helmet. My average heart rate was 157bpm with a max of 174. So how would the Lotus 110 measure up? Test day came and right away I knew the fit was not perfect. I couldn’t get the saddle high and forward enough, and my arms weren’t at the ideal 90-degree angle. But testing would go on nonetheless. 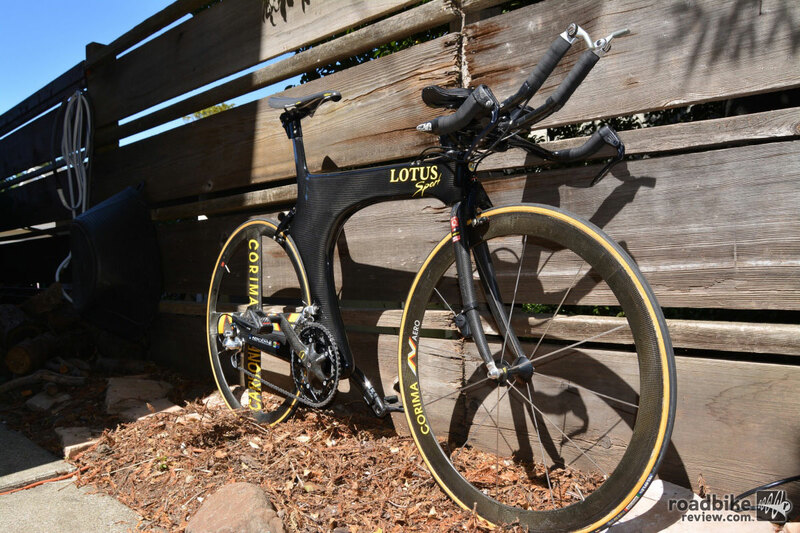 Once rolling, I could tell the Lotus 110 was a robust feeling bike. The frame is solid, not fragile, though it doesn’t leap under acceleration. 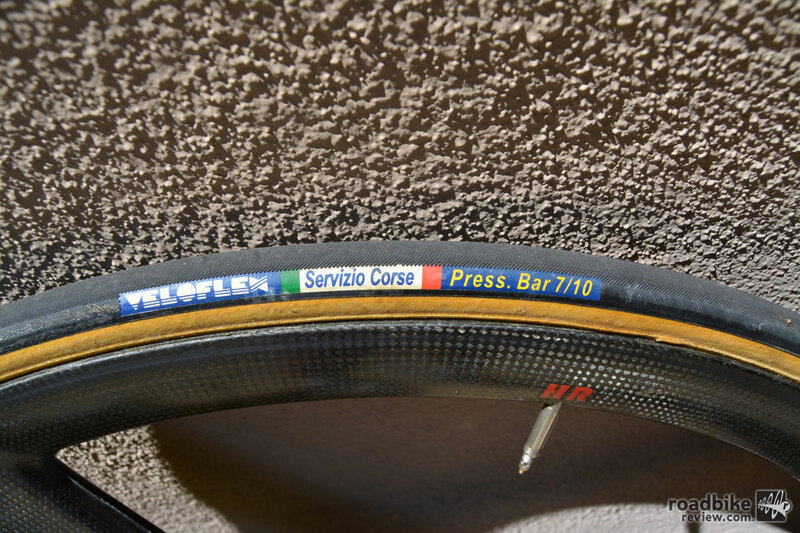 There was no frame flex or rubbing on the rear wheel during out-of-the-saddle efforts. The bike responded well to consistent and even power, and seemed to get on a plane and hold speed. The bar-end shifters and drivetrain were excellent. I doubt even modern electronic shifting could be as fast or precise as simply flicking these shifters down or up. But once underway, some issues cropped up. Immediately the seat mast started moving under power. 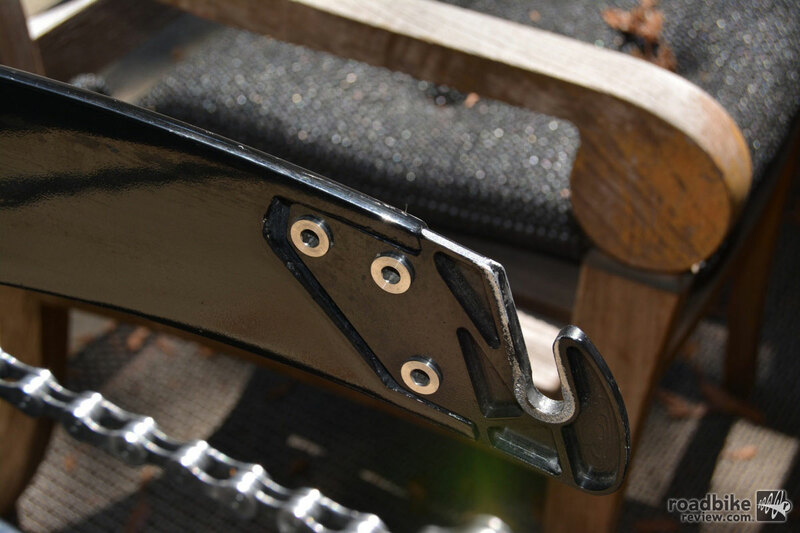 Turns out one of the two securing bolts wasn’t fully tightened, which created a slight see-saw effect. I contemplated pulling over to tighten the bolts but decided against it. Every part of this bike was mean to slice through the wind. Additionally, because the bike didn’t fit properly, I experienced tightness in my right hip flexor on the second lap. This forced me to change to a less aerodynamic position. Despite the discomfort, I tried to settle into a smooth and consistent rhythm. And while I did not set any segment PR, I was able to produce a one-hour distance of 24.22 miles, a new personal best! For comparison, my average heart rate was also 157, though my maximum was slightly lower at 172. Chalk that up to age, perhaps. So did the frame really make that much of a difference? Considering that fit wasn’t ideal, the wheelset is probably not as aero as my current set-up, and my max HR wasn’t as high, I definitely think it did. And regardless, it was really cool to see that a 21-year-old frame design is still competitive. Maybe we don’t need to get a new bike every couple years after all. Finally a quick note about the bike’s designer, Mike Burrows. 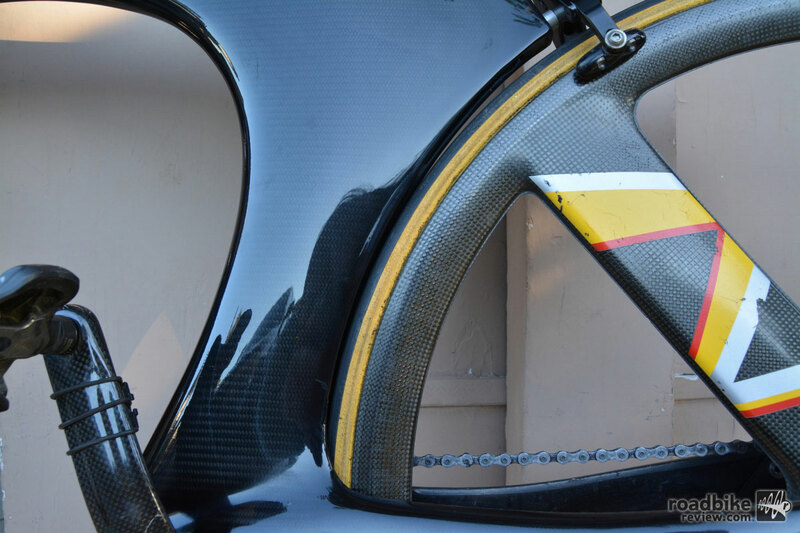 He was a true pioneer of monocoque (one-piece) bikes, and fully embraced carbon fiber as a means to that end. Beside the Lotus bikes, he also designed the Giant MCR (monocoque, similar to the Lotus 110) and TCR, which featured the then disruptive sloping top tube. The TCR was stiffer and lighter than other bike designs and helped Giant save money by only having to make three molds (small, medium, large) for their frames. 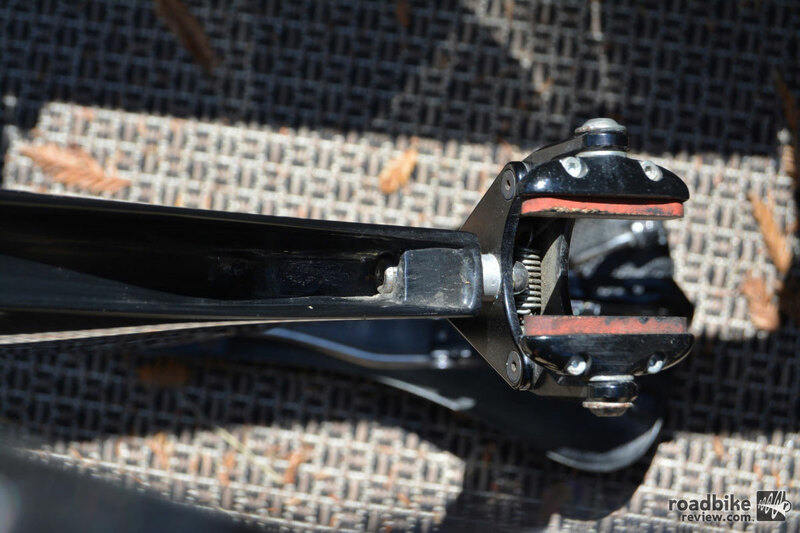 Giant simply used different sized seat posts and adjustable stems to accommodate riders of different sizes. Burrows also spent a lot of time designing recumbent bikes (that don’t have to comply with UCI rules) and is currently designing cargo bikes with the hope of creating a true alternative to automotive transport, particularly on the busy roads around London. Here’s what he is up to now. 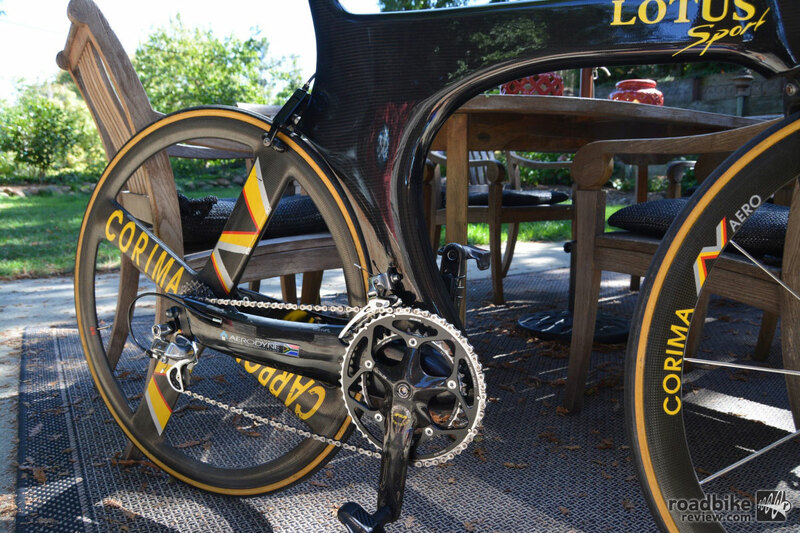 Integrated brakes helped cheat the wind. Lots of history behind that head badge. Twain Mein is fascinated with the technology and gear aspect of cycling, and is a longtime product reviewer. Twain has been doing triathlons since 1987 and has been ranked in the Top 50 U.S. National Age Group on numerous occasions. Remember 9 speed lol yeah sure everybody has 11 speed I got 7 and it’s ok it’s about what cassete you got not number of gears 12-28 and you can climb any hill.